John Thirtle was a painter of landscapes, architectural subjects and portraits in watercolour; frame maker and printseller. John Sell Cotman was his brother-in-law. With Ladbrooke and Sillet, he was one of the leaders of the secession. After this folded, he scarcely appeared again in exhibitions although continued working until the early 1830s. 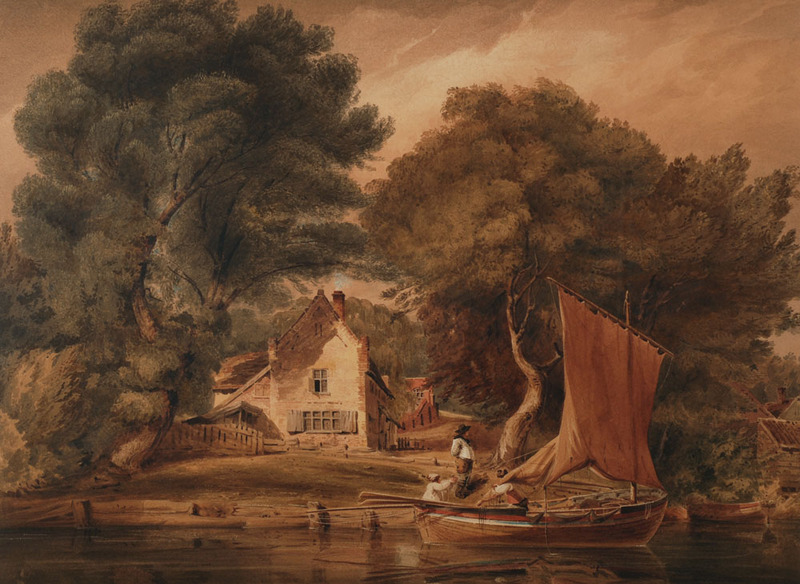 Among the Norwich School artists, John Thirtle is second, only to Cotman, as a watercolourist and equal to Crome, whose rare work in this medium can easily be confused with that of Thirtle. His oeuvre ranges from the sensitive early grey wash drawings, through the refreshingly free on-the-spot watercolour studies of Norfolk river scenery, to the colourful late works, all taken from the Norwich townscape or the surrounding country. Unhappily, his achievement is somewhat marred by several large worked-up drawings drowned in a Victorian profusion of detail and by ruinous fading through the use of fugitive colours.